NCSC has grown over the years, from providing regulatory consulting for the transportation industry that also included providing policy development, which in many cases contained training requirements. As a result our services had been developed from the beginning to be a ‘one stop’ place for businesses to come to get information and advise on their regulatory issues, then develop policies and programs necessary to comply with and implement, and as a natural extension of assisting businesses in their compliance, we developed a small retail side to be able to offer materials and some equipment to further aid an employer’s creation of an optimally safe workplace. This optimally safe workplace equals savings in many ways. With the passage of SB 198 in 1989, NCSC saw their work in the transportation industry as a natural extension into and transition into overall workplace safety, and we moved toward that with the addition of services to help employers deal with the myriad of regulations in both Fed OSHA and California’s Title 8. The Northern California Safety Consortium is happy to offer the option of becoming a member. Membership includes a variety of benefits including "Free" classes each month. If you are interested in becoming a member please view our "Contact" section and either give us a call, or send a quick email to ncsc@norcalsafety.com and request to be contacted with further details. NCSC offers monthly training courses open to our members as well as other clients and the public. These courses run the gamut from Basic First Aid and CPR to Trenching Competent Person and HAZWOPER training; from Drug and Alcohol Reasonable Suspicion training to Flagger and Sexual Harassment courses. Where the intersection of workplace safety and the training necessary to provide for that safety meet, we provide the courses for the employer. From our earliest days items from Inspection Report Forms to daily vehicle inspection books and emergency response guidebooks, we have found that this service helps complete the circle of regulatory compliance for our members and client. 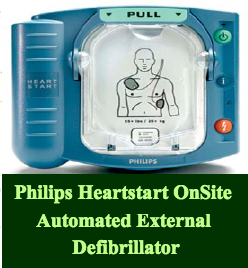 Since 2005 we have added automated external defibrillators commonly referred to as AEDs to those items we can offer our clients. In addition to the requirements for some of the transportation forms being used by employers, AED’s have become increasingly desired and required for employers.